and agrees to complete this form and submit it to seller. The buyer also agrees to remit to the seller the deposit or balance owed within the agreed time frame. puppy from IOEBA will be mailed to buyer when the seller receives them. The buyer understands that their puppy will be eligible for purebread registration with the IOEBA. Puppies are reserved and held with a deposit. Deposits are $500.00 and can only be paid with a post office money order. Once buyer receives the deposit the puppy will be considered sold. Choice of the puppy will be reserved by a first come first choose your puppy. 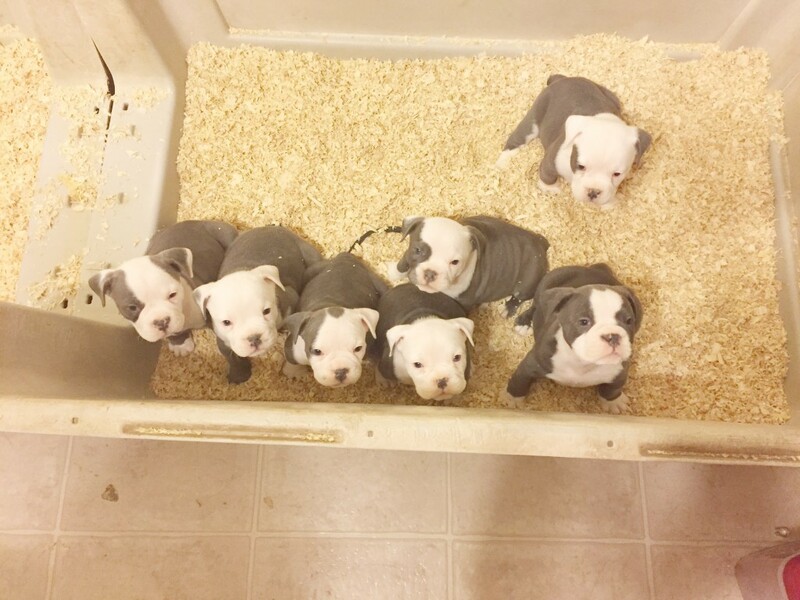 Puppies will be reserved for seven business days while deposit is pending. Any payment received will be non-refundable. Shipping for your puppy is approximately $350 and will be done by an airline, usually United/Continental Airlines. Your puppy is guaranteed to be free from any genetic/hereditary defects that cause death or serious impairment of vital functions in the puppy, until purchased puppy is one year of age. For this guarantee to be valid we require documentation from a licensed veterinarian of the problem. If your puppy prematurely dies, we require some sort of diagnosis or cause of death, documented by a licensed veterinarian to prove the cause of death. If you do not have this documentation the puppy will not be covered. We reserve the right to a second vet opinion. If an inheritable defect is documented by a vet and presented to the seller with sufficient supporting evidence the buyer will be entitled to a replacement puppy. If seller agrees to replace your puppy, the original pup must be returned to the seller. Once the puppy is returned the buyer will be given the opportunity to receive a different puppy. Blue Nami Kennel does not and will not pay any vet bills. The seller is not responsible for Parvo, Distemper, or Kennel Cough and Corona, Giardia and Coccidia virus. -The buyer will provide adequate food, water and shelter for the puppy. -The buyer will maintain up to date vaccines and worming. any reason without notifying seller first. -If for any reason buyer cannot due to unforeseen circumstances take care of the puppy the seller has first option to purchase puppy back. -The buyer agrees to use the kennel name BLUENAMI as the prefix in the registered name of the dog. The buyer and seller agree that is the full and complete agreement that exists between the parties for the sale of this puppy. By submitting this agreement, the buyer agrees to all the above. This agreement must be filled out and submitted to seller. I have read and fully understand and agree with the contract. This is a binding legal contract. We will take any legal action necessary to enforce the terms and conditions of this contract. No transaction will be complete until we have been paid in full along with a signed contract from the buyer.